Fairfax County Police are getting closer to filing charges against a man suspected of posing as an officer in that county and even on Interstate 270 in Maryland. According to search warrants obtained by News4, the target of the search was a 2008 black VW Passat. Investigators found it parked in the driveway of a home in the Burke area. Inside they found and seized ammunition, knives, light bars and LED lights. 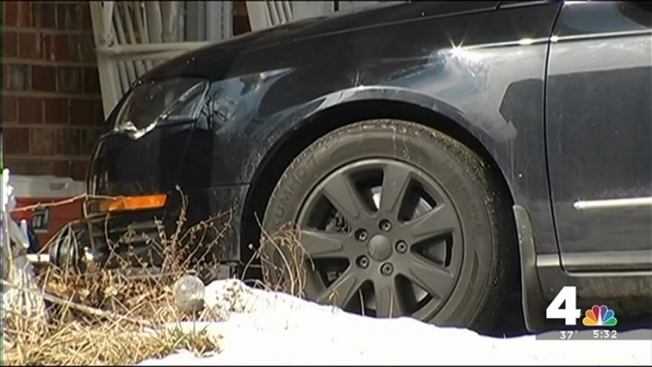 Court documents detail a half dozen incidents in which the driver of the VW Passat activated emergency lights, sometimes tailing and trying to pull over other vehicles. On Dec. 20, along I-270, a driver said the Passat tailgated their vehicle, eventually activating red and blue lights mounted above the rear view mirror. The driver of the other car did not pull over, fearing the Passat driver was impersonating an officer. Another incident involved a student from Robinson High School who reported it to the school resource officer. That officer began to piece together the case, connecting the different reports. Two incidents took place a year ago. In one case, the driver and other teens drove around a Fairfax County parking lot, blaring a police siren and spraying silly string at pedestrians. But police said impersonating an officer is a serious offense. "We are very concerned. A lot of times people treat this sort of thing as a prank and feel its fun but it's not," said Fairfax County Police spokeswoman Lucy Caldwell. "It's extremely frightening for the people who think they are being pulled over by police and certainly this could cause dangerous driving maneuvers." News4 is not identifying the suspect because he has not yet been charged. His neighbors said the 19-year-old man recently returned from EMT training at a western Virginia college. The Passat has an EMT decal in the rear window. "Anybody who might have seen this car driving erratically or using the lights or siren we hope they will contact police," said Caldwell. It was help from a citizen at the Burke Centre shopping center that enabled police to seek the search warrant. In late January, he and another man saw the Passat activate blue and red lights while in the shopping center parking lot. The witnesses said the car then sped off. Later when one of the men returned to the shopping center, he spotted the same VW unoccupied, a light bar in the back window. He took down the license plate number and contacted police.